During a divorce, the divorcing couple must split personal and professional assets. When one partner in the marriage owns a manufacturing company, the company's worth must be split during the divorce proceedings. Valuing a manufacturing company can determine the worth of the business, which helps negotiations proceed. Here's what you need to know about business valuation for divorce purposes when it comes to manufacturing facilities. Divorce laws vary by state. Generally, divorce lawyers classify assets as belonging to one party or both parties. If an asset was acquired before the marriage (as when someone owns the manufacturing plant before the marriage), then it's classified as separate. The caveat here is business improvements that were made using joint funds, for instance new equipment financed by a joint back account. Even with a manufacturing business that predates the marriage, the spouse may be entitled to a portion of the company's value. If a manufacturing company is acquired during the marriage, then it counts as shared property and must be split in the divorce agreement. In many states, property should be split 50/50 between the spouses. Many divorcing couples do not want to co-manage a business together. The easiest solution to this dilemma is often the least desirable one: Sell the business and split the profits from the sale of the manufacturing company among both parties. Another common option is for one party to buy out the other party of their interest in the business, then run the manufacturing company. When the business owner wants to retain their business and buy out the spouse, they must first take a valuation of the manufacturing company to determine worth, then pay out the rightful share as part of the divorce proceedings. Business valuation experts can value the manufacturing company to determine its worth. It's better to have an independent valuation of the manufacturing company than rely on the business owner, who is not neutral, to estimate the value. Relying on the owner to gauge the manufacturing company's worth is not recommended, as it's in the owner's best interest to undervalue the company, while it's in the spouse's best interest to overvalue the manufacturing plant. Manufacturing companies can be valued using an asset, income, or market-based approach. 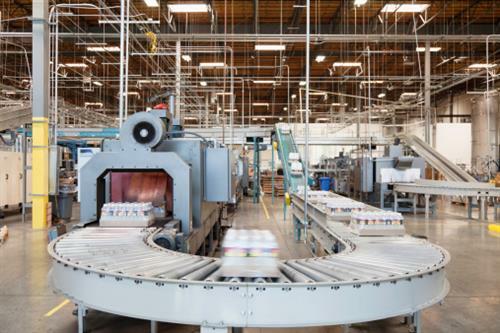 An asset-based valuation calculates the worth of equipment and personnel, an income-based approach assesses present value as compared with future earnings, and a marked-based approach looks at the worth of similar manufacturing facilities recently sold. Asset-based valuations are common with manufacturing facilities, since these companies tend to own a lot of expensive and unique equipment; however, sometimes it's best to combine appraisal methods. An appraiser will identify the best method to use based on the company and circumstances, explain the selected method of valuing a manufacturing company, and provide documentation to support their valuation. Some couples choose to hire a single appraiser who can determine the business's value. Other couples opt to hire two appraisers, so each spouse can work with an appraiser of their choice. If two appraisals are conducted, the valuations can be compared by the attorneys during the divorce negotiations. Determining what, if any, part of a business a spouse is entitled to is a process best left to divorce lawyers. Once you determine that a business counts as shared property and must be split, identify a qualified appraiser who can value the business for divorce purposes.